Did you hear?? Guests 21+ no longer have to park hop around Walt Disney World in order to get their drink on when visiting the Magic Kingdom. Now park guests can indulge in adult beverages at every sit-down restaurant in the Magic Kingdom, which has had a strict policy banning alcohol from the park since its opening back in 1971. 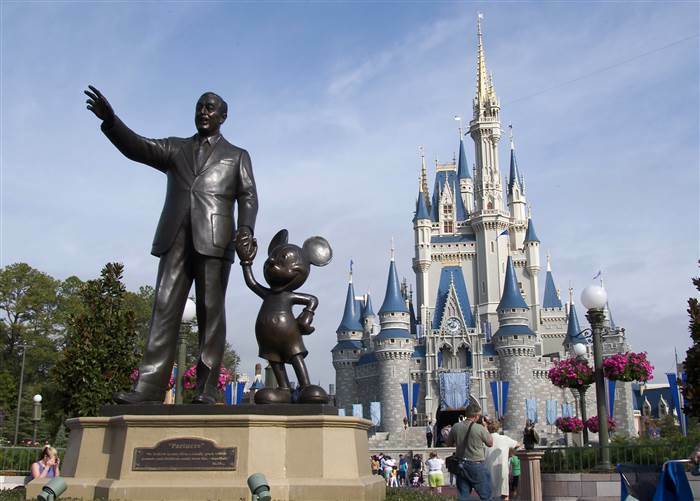 All the other Disney parks (Epcot, Animal Kingdom, Hollywood Studios) serve booze, but Magic Kingdom was the last park to keep things sober, respecting Walt Disney’s vision to keep the Magic Kingdom G-rated. But times are a’changing. The first Magic Kingdom restaurant to serve alcohol was the Beauty and the Beast themed restaurant, Be Our Guest, which opened back in 2012. 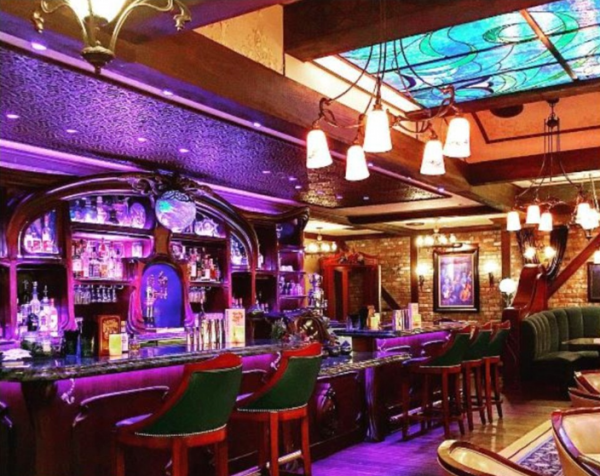 Then in late 2016, Magic Kingdom added four more sit-down restaurants that serve wine and beer: Tony’s Town Square, Cinderella’s Royal Table, Skipper Canteen, and Liberty Tree Tavern. Tony’s Town Square on Main Street offers beer and Italian wines. Cinderella’s Royal Table offers mimosas, bellinis, and sangrias for breakfast, and a rather extensive wine list for lunch and dinner. Liberty Tree Tavern has beer, cider, and wine. Now Disney has announced that guests 21+ can order alcohol off the menu at all Magic Kingdom sit-down restaurants with the addition of three final table service restaurants adding booze to their menus. The three additional restaurants include the Plaza Restaurant, a casual salad and sandwich spot on Main Street USA; the Crystal Palace, a character buffet restaurant with Winnie the Pooh, Eeyore, and Piglet; and the Diamond Horseshoe, a dinner buffet in Frontierland. These restaurants now feature specially selected adult beverages that are unique to their menu. At the Plaza Restaurant, guests can enjoy American beer and wine, including a regional craft India Pale Ale. 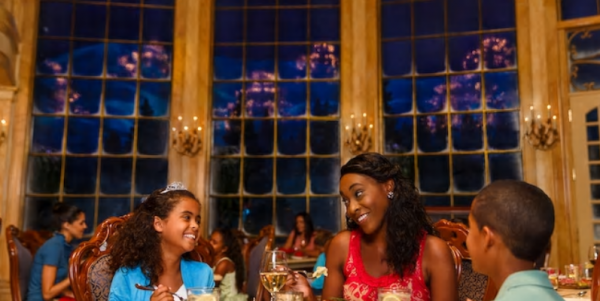 At the Crystal Palace, guests can indulge in sparkling wine breakfast mimosas, as well as beer and wine, such as Chardonnay and Pinot Noir, to pair with their lunch and dinner buffets. 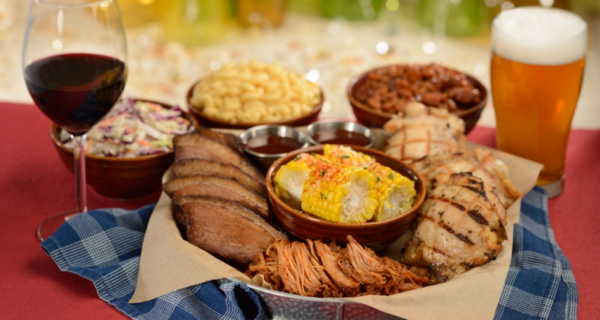 At the Diamond Horseshoe, guests can grub on Frontierland food with wine or classic American beer such as traditional lagers. Counter services will not be serving alcohol of any kind and hard liquor is still prohibited throughout the park. Disneyland in Anaheim, CA is still a dry park except for the ultra-exclusive members-only Club 33.